The Destroyer USS Barry is a Forrest Sherman Class Destroyer. 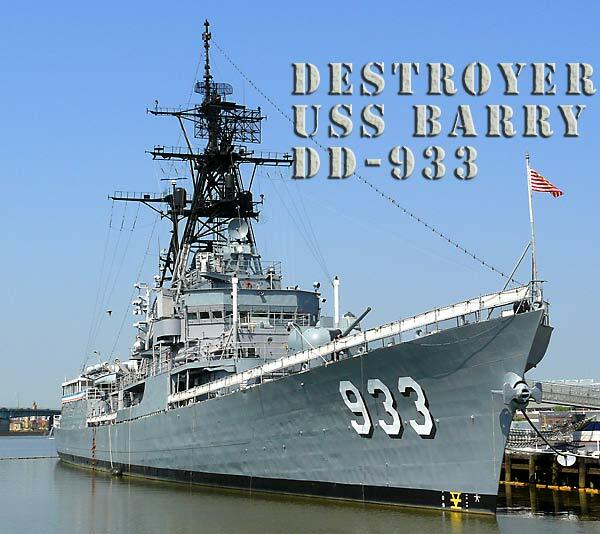 You can visit the USS Barry DD-933 at the US Navy Museum in Washington, DC. As the museum ship USS Barry is located on a US naval base there is more security involved in visiting this than other museums. The museum asks that you call for an appointment for a visit by noon the day prior and you must have a valid photo ID driver's licence or passport. Visitors arriving in private vehicles must also provide vehicle registration and insurance card. You'll be issued a pass which you should keep with you as if you turn down a wrong street as I did you may be stopped and have your pass, ID, and bag checked by security. The good news is that admission is free, crowds are thin (No one that I met socially during my visit to DC knew about the destroyer), and there is an excellent commissary with a choice of chain food vendors in a restored factory building. It's a great place to spend a day in DC. DD-933 is in excellent condition and most of the equipment seems to be in place. 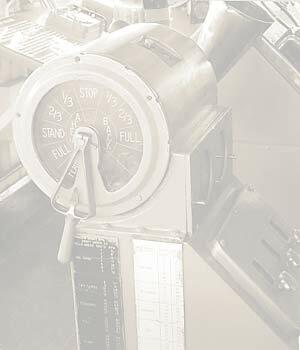 The bridge and Combat Information Center are readily accessible and in great shape. Although it takes a few minutes to get used to, the lighting in the CIC is pretty neat. Some rooms and areas are partitioned with plexiglas, but it is kept very clean and the exhibits are easy to see. The naval seamen aboard the USS Barry were friendly and eager to answer your questions, and other staff were busy doing restoration work. The damage control equipment displays were nicely laid out and labeled well. October 2010 - the USS Barry is featured in an episode (Short Fuse) of the TV series NCIS. I didn't recognize the interior compartments used for filming so I don't know if they actually did any shooting there, but it was fun to see the destroyer woven into an episode. Since I first created this page the USS Barry has popped up in most NCIS episodes. Often external wide night shots of the naval base show the Destroyer lit up with strings of lights. Also in interior shots of the building DD-933 is the ship visible through the windows in the background.